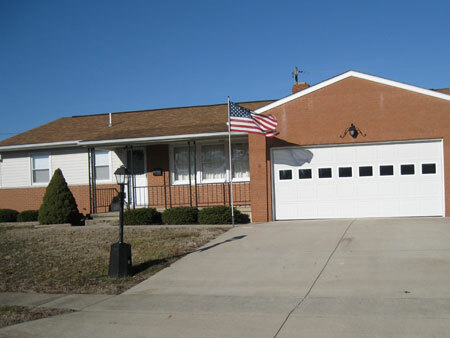 The nice brick & vinyl one floor plan ranch w/full basement & garage. 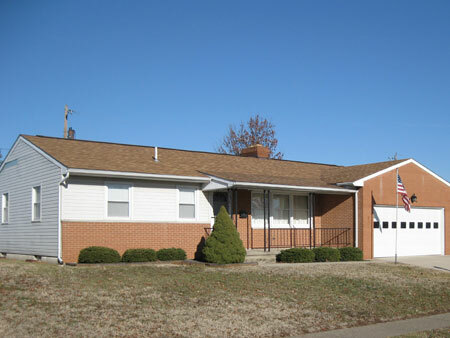 Situated in a very convenient West End location with easy access to ROUTES 35, 104 & 23. Home offers eat-in kitchen w/cabinetry with living area, family room, wood burning fireplace,hardwood floor, bay window, 3 bedrooms, one with 1/2 bath, full bath w/shower over tub and full basement. The home is equipped with gas furnace, central air conditioning, nice vinyl windows, shingle roof and a lot of hardwood flooring. Nice antique Oak curved glass china cabinet w/carved feet; Oak oval library table; Oak chest of drawers; Oval Oak 5 legged dining ext. table; 6 modern Oak Lion head pressed back dining chairs; Oak quarter sawn dresser; Mahog.Waterfall Cedar chest; Oak 3 drawer desk; Oak 3 drawer 2 door buffet; basket clothes hamper; galvanized double tubs; CASPER Mattel pull string Casper doll; WOODY WOOD PECKER, Huckleberry Hound doll; 1926 Little Black Sambo book; 2 man cross cut saw; costume jewelry; cranberry glassware; Fenton Lion Club bells; bubble glass picture frame; MOPAR advertising Hertenstein stand; NASCAR collectables. Appliances: Frigidaire 20.6 cu. ft. Refrig/freezer; ORDECK vacuum; GE dryer; Frigidaire washer; Singer console sewing machine; Hoover steam vac; portable electric heater; Frigidaire freezer. Base rockers; knee hole desk; pressed back kids rocker; bookcase end & coffee table; bedroom suites; night stands; dresser chest of drawers; single 4 poster bed; Oak rockers; quilt rack; Christmas decorations. ; ping pong table; pool table; train set; Royce Union Men's bicycle 3 spd; stepladders; ext. ladder; tool chest & tools; work bench; garden tools. Real Estate Terms: Home as Estate Estimate of $100,000 & Min. Bid is 2/3’s = $66,666.66; $5,000 down at time of sale, offeredfree & clear prior to closing on/before April 19, 2011; sold in present as-is condition; no buyer contingencies exist; taxes for2009 year payable for 2010 are $2103.74 & prorated to day of closing; Parcel No. 305210021000; Lot is approx. 72’ x 100’. Personal Property Terms: Cash or check w/photo ID, sold as-is, all sales final, payment in full day of sale prior to removal. Taxes & Legal: As Agents for the Estate of Ruth I. Weidauer, Ross Co. Probate Case No. 2010-E-206, Clifford N. Bugg, Administrator, as Ordered the following sold in the premises rain, snow or shine!